The Super Bowl is coming up, with the New England Patriots set to take on the Los Angeles Rams. 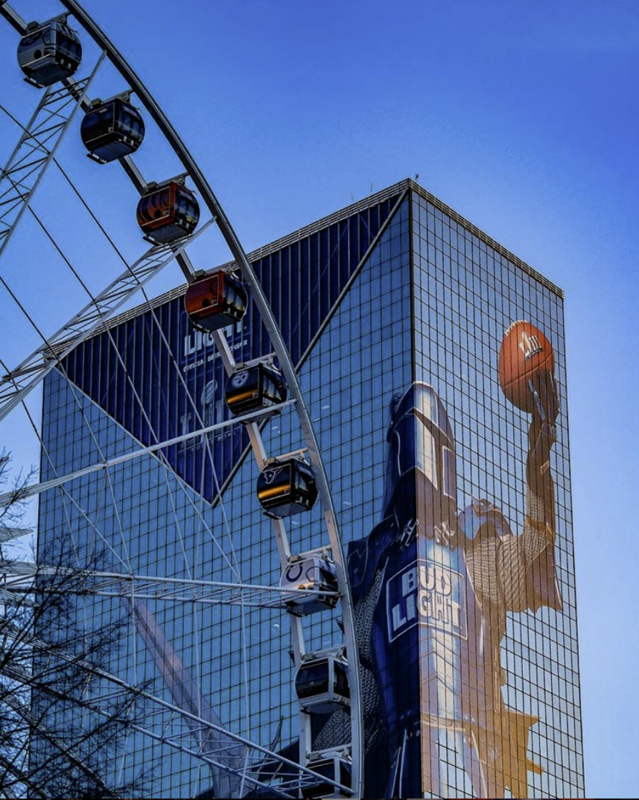 This year's big game takes place at Mercedes-Benz Stadium in Atlanta, which means the city is buzzing with football fever. Now, most people would be excited to be where the action is taking place. For starters, I'm not a big fan of massive crowds. I'll tolerate them for as long as I have to, of course. You can't go through life without having to deal with the masses. However, if I had to choose between seeing the game live surrounded by drunken idiots or watching on TV from the comfort of my apartment, I'll easily take the apartment. That is if I'm even lucky enough to watch the game in the first place. I have to work at a bowling alley that night, and yes, there are televisions situated at every pair of lanes, over the bar, and there is a giant projection screen right near the arcade area. But just because the resources are there for me to watch, how am I supposed to? The alley is running specials all day, trying to capitalize on those who might not be able to get to the game or find other bars too crowded. I'll end up running around like a headless chicken. On top of that, the lead up to the big game will be absolutely insane. Lines in nearby Walmart will be so bad from everyone buying tailgating supplies, party supplies, TVs etc. I would have to leave for work an hour before my shift just to make sure I had enough time to pick up an energy drink or two to make it through to closing time. Popular tourist attractions? Forget about it. Throngs of people in town for the Super Bowl will want to hit up those places too. CNN Studios, the World of Coca-Cola, the Georgia Aquarium, and various museums will be packed to the rafters with tourists. Noise levels. Invasion of personal space. Tantrums from tired kids. Ugh. I just want to go about my day as smoothly as possible. Is that really too much to ask? On a side note: Go Rams.